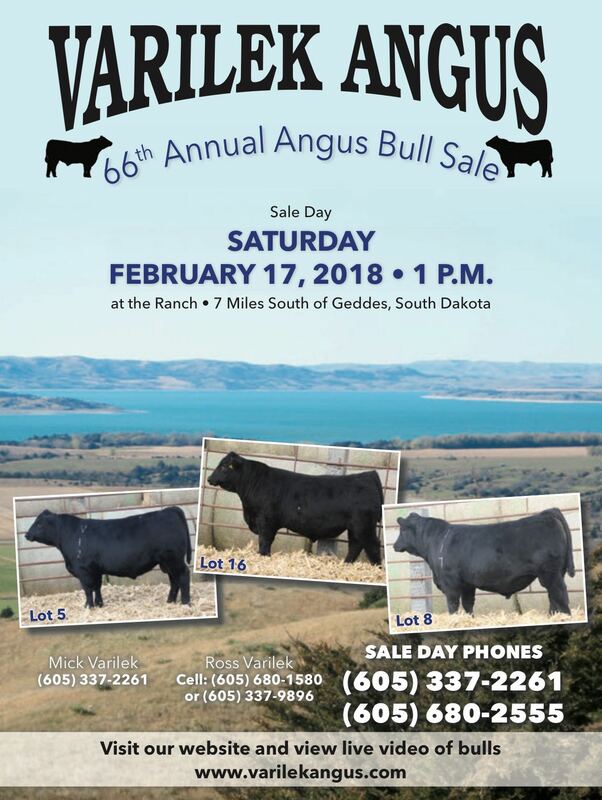 Varilek Angus hosts its annual Angus Bull Sale the third Saturday of February every year. The 2019 sale will be held on February 16 at the ranch seven miles south of Geddes. We encourage anyone to come visit anytime throughout the year to see our cattle and where they are raised.